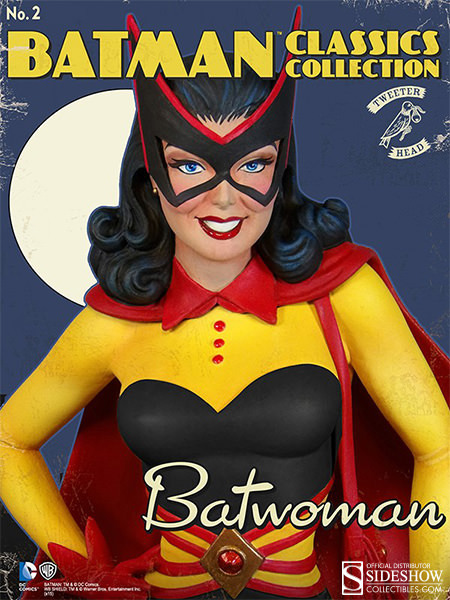 Holy love interests, Batman! 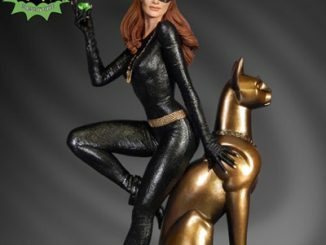 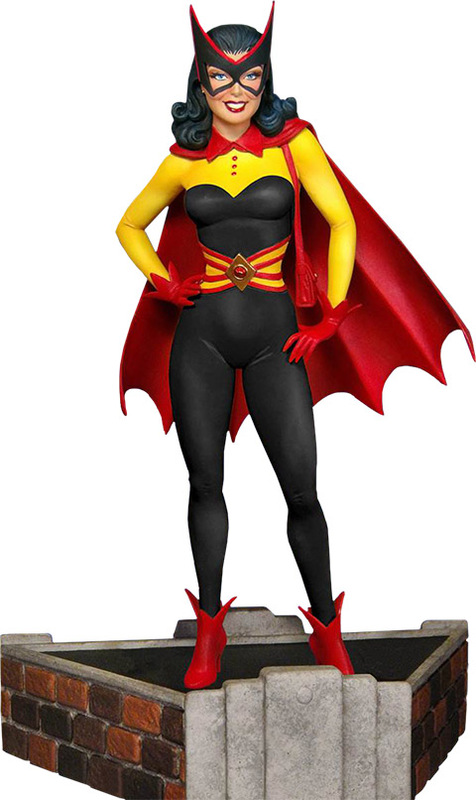 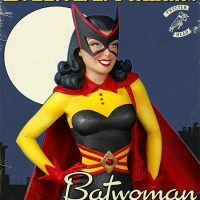 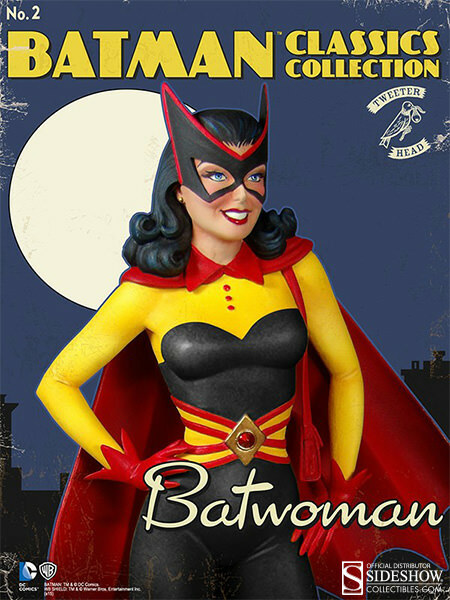 The Classic Batwoman Kathy Kane Maquette brings back a Bat character that has gone through some serious changes. 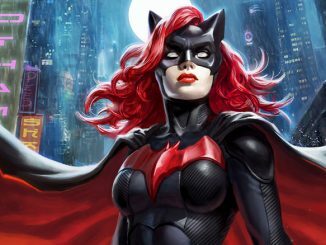 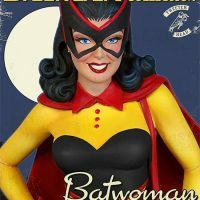 These days, Katherine (Kate) Kane is a Jewish lesbian who fights crime in her own comic book, but back in 1956, Katherine (Kathy) Kane was created as a love interest for Bruce Wayne because the idea of two guys living together was too strange for some people. 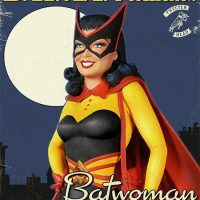 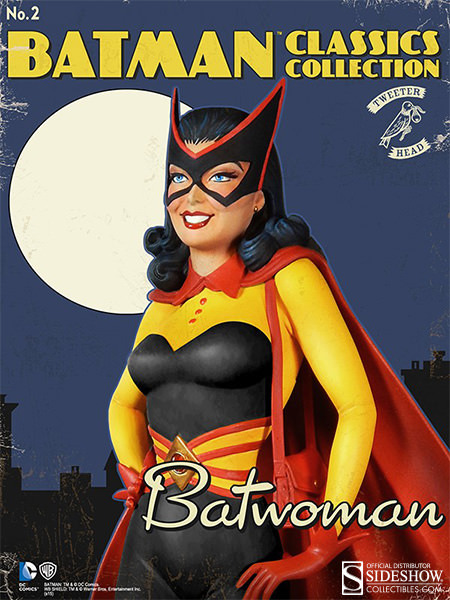 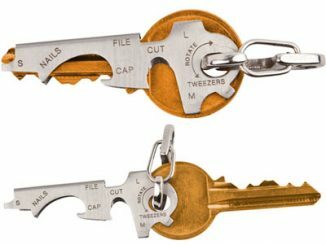 As Batwoman, she’d fight crime with the Bat-gadgets she toted around in her utility purse. 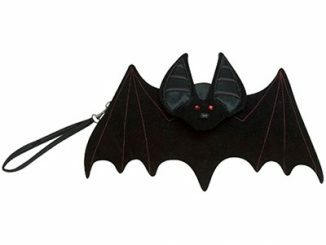 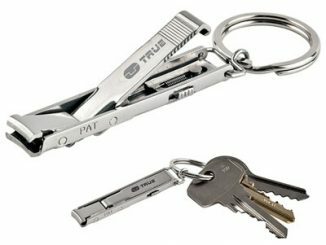 Yes, she had an utility purse. 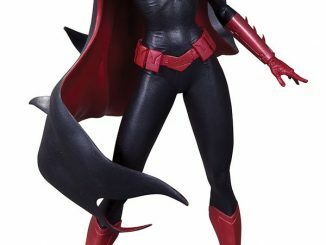 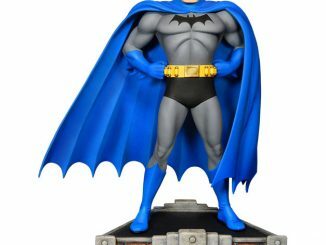 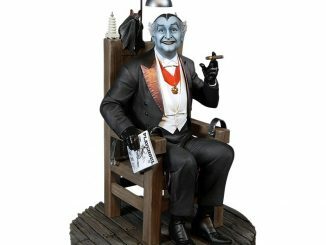 The 13-inch-tall statue features Kane as Batwoman (complete with utility purse) standing on a rooftop. 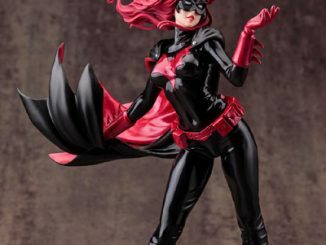 The Classic Batwoman Kathy Kane Maquette will be available Sep 2015 – Nov 2015 but it can be pre-ordered now for $224.99 at Sideshow Collectibles.